The Marais, which takes its name from its literal beginnings as a marsh, has already undergone two renaissances since its beginnings in the 12th century. The first occurred in the 16th century under King Louis XIII and the second - fortunately for us - continues today. While most of the rest of Paris was demolished under Napoleon, the Marais was able to preserve much of its and Medieval and Renaissance-style architecture. Today, the Marais is able to give us a glimpse into 2 worlds; the Paris of old and the modern, chic Paris of today. Having long been the center of Jewish Parisian life, today the Marais is also home to some of the city's trendiest boutiques, stunningly preserved architecture, art galleries, and hip nightlife. Nowhere else in Paris can you see such a blending of old and new. Home to such diverse attractions as the Place des Vosges, the oldest, most beautiful square in all of Paris, the Hotel Carnavalet and Picasso Museum, the Marais simply cannot be missed during your visit to Paris. Your Classic Marais Tour will give you a glimpse into all this, and more. Your takes you to same place the French Revolution was born, the Place de Bastille. It was here, at the historic Bastille prison built in 1370, that the infamous "Man in the Iron Mask" was sentenced to life in prison by Louis XIV. You'll also get to see other remnants of the French Revolution with a stop at the Colonne de Juillet, a memorial that honors the victims of that fateful July revolution. In contrast to that, your tour also includes a visit to the decidedly more modern Picasso Museum and the Centre Pompidou, the modern art structure that Parisians love to hate. Your visit to the enchanting Marais district winds down with a stop at the Yvon Lambert Gallery, home to some of the world's most cutting edge art, and a stroll down Rue des Rosiers, one of the most delightful and well preserved streets in all of the Marais. Entry fees are not needed for our Classic Marais Tour, as we do not enter any attractions that require tickets during the tour. 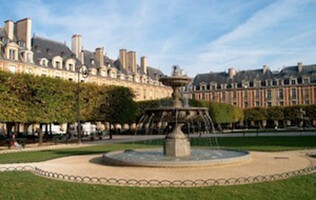 What will I see on my Classic Marais Tour? You will explore the chic and avant-garde heart of Paris, home to sites like the Yvonne Lambert Gallery, Pompidou Centre and the Bastille Opera. How will I find my Classic Marais Tour guide? Your Classic Marais Tour guide will meet you at our easy-to-find meeting spot near the St Jacques Tower at 10:30 AM. Your exact meeting point details â€“ complete with a photo and map of your meeting point - are emailed to you once your booking is complete. If you have chosen a Private Classic Marais Tour, then the meeting spot is up to you! Typically we meet our guests at their hotel or apartment, but of course, you may also choose to meet at another location if that suits you. Will my tour guide speak English? Absolutely! All of our guides are native, or nearly native, speakers of English. Our guides also speak French, Portuguese, German, and more so if you have a language preference, please do let us know and we will do our best to accommodate you. We booked a private tour of the Marais with Aeon and it was amazing. What a neighborhood - my favorite by far in all of Paris. I can't wait to return. Aeon's guide was on time to greet us at our hotel and then actually ended up taking us on an almost 6 hour tour (we only paid for a 4 hour one!). The time flew by. Great tour, and even better guide. My girlfriends and I took three tours with Aeon - the Catacombs, Versailles and the Marais. All 3 were very informative, and amazing. The guides in particular were great - very friendly, and attentive to our needs. It helped that our groups were all small. I think the largest group was the Catacombs Tour (with about 7 people). My personal favorite was Versailles, since I LOVE everything about Marie Antoinette. Definitely recommend them. Great guides, and our tours felt very personal. We visited Paris for first time last May, 2012. We had Aeon Tours for 2 different tours in Paris. Miguel was our guide for the Catacombs and he was very well prepared and extremely knowledgeable and informative. We had Fred for a Marais tour and he also did a great job keeping the tour fun and interesting for all of us in the tour. Both guides spoke great english and other languages as well. My wife was especially excited to practice her French with Fred. We wanted to thank you for the amazing tour... [our tour guide] was knowledgable, friendly, and gave us a view of Paris that we wouldn't have seen otherwise. See our FAQs or e-mail us if you have any questions before booking. Explore the classic and timeless sights of the city with your 4 hour walking tour. Explore the ancient underground tomb that house over 6 million Parisian bodies. 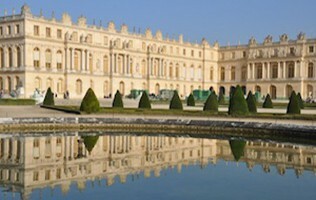 Tour Versailles, the famed home of Louis XIV and the center of French royalty.